The automatization of capturing data and the integration thereof into the management system has allowed Cerdaimar to eliminate errors and unnecessary costs related to the resources that used to be necessary for these tasks. In this way, Cerdaimar could correctly measure its production processes, improve it, and at the same time integrate with the traceability system and quality control system. “With Imatia we have reached to be more competitive and approach our strategic plan for 2020. The capturing of plant data has made us more agile and more able to respond in a more adequate manner to the needs of an increasingly more competitive and difficult market”. 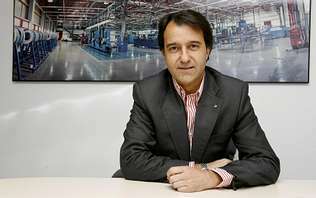 Andrés Cerdeiras, Managing Director of Industrias Cerdeimar, S.A.
A strong increase of the production volume, together with a need for cost control, lead to a high consumption of resources in order to cover the management associated with the daily operations. Those resources were dedicated mostly to planning tasks and to monitoring the manufacturing process using a spreadsheet. This spreadsheet was used to collect data on the production process and was filled out manually with parameters and hours of available workers. All this was done days after having completed the production and the data collected by the information system had been validated. This all worked in an independent manner, while connected to the lines and sections of the factory, and while using database queries that were extracted from the produced units as well as the time of the operation. After the event, everything was put together in the spreadsheet in order to obtain the cost of the distinct manufactured batches. Due to this manual process, the commercial department did not have the actualized data on the costs of the different produced items during the sales negotiation process.In addition, both the quality and the traceability, were managed manually and the quantities of existing copies of different product types had to be entered into an AS/400 system by hand. In order to solve those problems, Cerdeimar chose to implement an information system based on software developed by Imatia, mostly for the functionalities of its module for production. In addition, Imatia software’s modular architecture and its ease of communicating with other applications, allows for an easy interconnection in order to easily collect the production data and realize tracing the production. One of the objectives of the management team was integrating the traceability modules, which allows them to do all the management from one single application replacing the management of the old system AS/400. Industrias Cerdeimar and imatia implemented this system together, customizing the manufacturing module so that is can realize simulations in the planning phase, playing with the capacity of the available personnel, as well as primary materials that could theoretically be replaced. These simulations can be realized in two different manners: based on available primary materials and based on finished products. So, the main challenge of the project was integrating the new software with the existing application for production control. The removed archives through consultation of the database, would be readable by the new software while they were consolidated in the corresponding realized order to both track and close them. On the commercial area, they applied the module of discounts in a linear or cascading manner and moved it downstream to the other companies in the value chain, because of sector-specific reasons. Additionally, they applied the module of commissions to be able to give commissions to different commissioners within to the same sales deal. They automated the data capturing process in the production plant by implementing the tracking of the manufacturing process. With this, they have removed the time needed to interpret this data with which they also eliminated human errors. This process of a data capturing is done massively by the application. The management and control is limited only by the staff itself, because they still have to validate the production orders. They are now capable to simulate procedures and processes based on predictions for the future, gaining insight in the need of primary material and the need for production resources. They integrated with the traceability system, not only to follow and control the flow from the provider to the client, but also to economically assess within all manufactured batches the costs of the produced products. The data on this is obtained in real time which allows them to make commercial offers while knowing the data. Another advantage is the integration with quality control, which can be consulted at any moment, which also removes the paper archives on this topic. 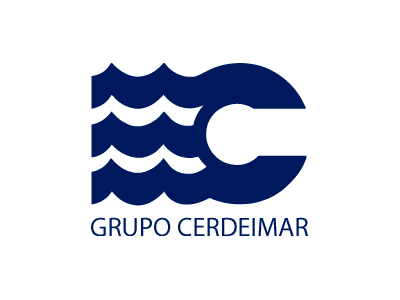 Industrias Cerdeimar, S.A is a Galician family business located in Camariñas – Finisterre, and began its industrial activity in the year 1884, founded by Andrés Cerdeiras Pose. Right now, the company is owned by the fourth generation after the founder. 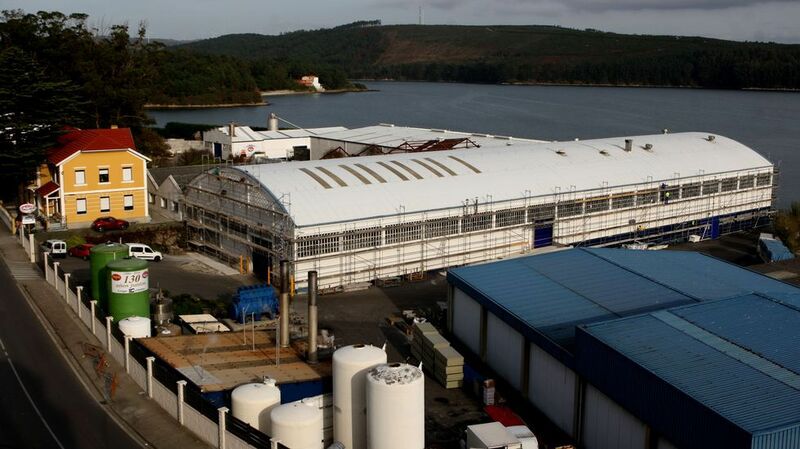 Dedicated to the elaboration of mid and high-range prepared and conserved fish and seafood, with more than 40 million of manufactured cans in 2013, 170 employees and a revenue of 20 million euros, they are located in the top 20 of companies within the sector and one of the first on the area of product diversification. Following a strategy of specialization, differentiation and diversification as well as an investment in innovation of more than 15 million euro so far, has allowed them to have a portfolio of more than 30 distinct products, under the 1884 brands Boya and Omega. They serve both the domestic market by the main national hypermarkets and supermarkets such as the HORECA channel. The production is done in Spain, and of the total sales, 30% is internationally in more than a dozen countries, among which Portugal, Italy, France, Libya, Algeria, Poland and Lithuania.